This one is rather complicated. It represents the relationship between Vietnam and China. 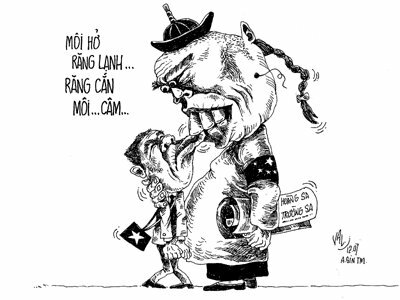 Apparently, China’s relationship with Vietnam are like tooth and lip. China is in control and can keep Vietnam quiet at their will. Tooth and lip is a figure of speech in Vietnamese, quite perplexing if you ask me. 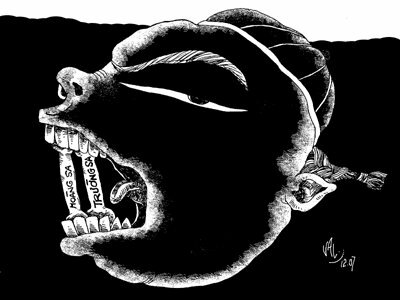 “Open lips make the teeth turn cold,” was a quote by Ho Chi Minh, comparing how Vietnam and China went hand in hand. 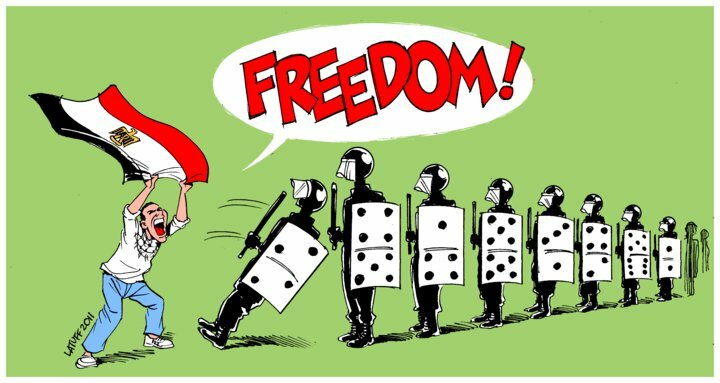 The second line, “Biting the lips… Will make them silent,” is a sarcastic ridicule by the author of the cartoon. He mocks the stupidity of Ho Chi Minh, showing how his policies have eroded Vietnam’s sovereignty. 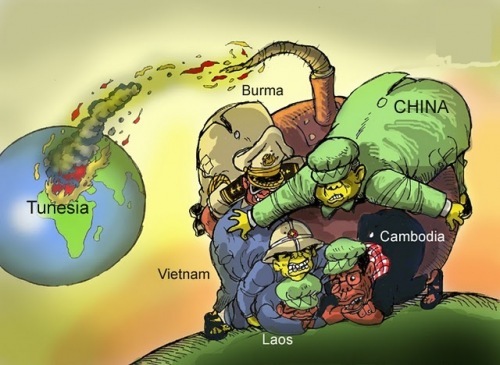 This is another cartoon about the Chinese invasion of the Paracel and Spratly islands. 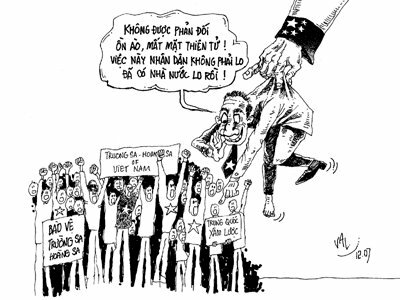 It mostly demonstrates the coercive nature of the Peoples’ Republic of China, at the same time showing the weakness of the Vietnamese Communist Party. The Communist Vietnamese are cowardly, staying silent while the Chinese government takes the islands away from the Vietnamese people. They don’t resist, nor do they let the people of Vietnam resist. Any stand made by the common folk are immediately crushed by the VCP, for fear of offending the invaders. It’s shameful. Represents China holding on to the General Secretary, a symbol of how much control the Chinese have over the Vietnamese government.